With Mother’s Day fast approaching, Scotland’s birds provide some wonderful examples of great parenting – and a few surprises. Birds are often amazing mums, running the gauntlet from self-sacrificing, resourceful and inspiring – to downright disgusting. All of this is in pursuit of giving their young a chance to survive, which is no easy task in the wild. 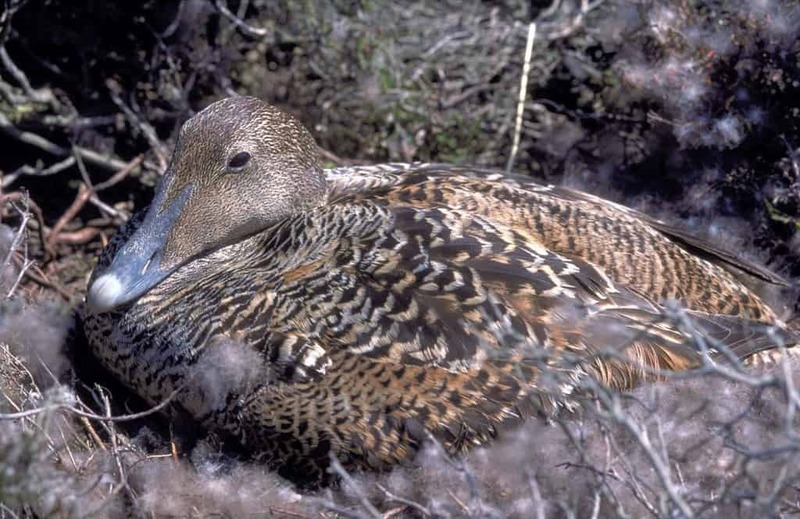 Eider ducks are one example of our feathered friends’ great mothering skills. The females take all responsibility for raising young. They pluck their own down to help line their nests, and then never leave their eggs as they incubate for up to 26 days. They eat nothing during this time, fasting and living off their fat reserves. They even excrete on their eggs to defend their nests from predators. As well, eiders which nest communally have an amazing crèche system to help rear ducklings. Many duck species use these ‘crèches,’ where up to 50 ducklings can be taken care of by an older, experienced duck, giving a break to young mums. If the duck crèche encounters a threat, the chicks will all huddle together, with female ducks on the outside to protect them. A particularly good place to see this is Forvie National Nature Reserve in North East Scotland, where up to 2,000 eiders gather to nest in the heather and grass. Another wonderful image of mothering comes from the grebe family. Once their chicks fledge, great crested and little grebes often swim ‘piggyback,’ carrying their young on their backs and protecting them with their wings. Other birds take astonishing risk to protect their young. Waders like lapwing, common sandpiper and ringed plover mums, as well as duck and geese mothers, pretend to have a broken wing to lure predators away from their nests. But the award for most cunning mum would certainly go to the cuckoo. Cuckoos never build their own nest, preferring instead to lay their eggs in other species’ unattended nests. A cuckoo can remove an egg laid by a host mother, lay her own egg, and fly off with the host egg in under 10 seconds. Amazingly, a cuckoo can make its egg look similar in colour and pattern to those in the host nest, and can lay up to 24 eggs in a season. They may not win mother of the year, but they often achieve their goal of chick survival, with only about 20% of hosts detecting their deception. Previous articleMuseum Appeal – Dr Werner Kissling – Do You Remember?